We assist entrepreneurs, successful firms and growing practices find amazing office space and negotiate their best deal. Jeff Tabor has over 35 years experience helping tenants in the Los Angeles and Orange Counties negotiate, renegotiate, and discover their perfect Class “A” commercial office space. Known locally as a true maverick amongst his colleagues, Jeff goes to bat for his clients at the lease negotiating table while providing a comprehensive suite of services pertaining to all aspects of commercial office real estate … services no other commercial real estate advisor provides. Shortly after graduating from Business School at U.C. Berkeley Jeff was hired by a noted large U.S.-based syndicator for the purpose of maximizing the landlord’s rents from the tenants and minimizing the landlord’s concessions. Jeff took this insider knowledge to work at a major brokerage firm where he only represented tenants. Obtaining the “Broker of the Year” award his first year in the business, he realized the big brokerage houses offered a poor business model in which the only ones who benefitted were the broker, landlords, and the brokerage firm.  Seeing a need for a dedicated tenant representative, the Jeff Tabor Group was born in 1993, and the rest is history. No other broker has the wealth of both lease contract knowledge and experience that Jeff does. He fights harder than anyone for the best interests of his clients and provides them with a suite of services and benefits that will benefit them for years to come. We create value for our clients every day. Decades of experience and our dedication to working only for tenants ensures that our clients get comprehensive care above and beyond what any other commerical brokers offer. Let us review your lease and recommend changes - free. Jeff Tabor Group founder Jeff Tabor will personally provide a free comprehensive lease and landlord operating expense pass through analysis. Jeff pours over the various elements of a lease like a hawk. Over an intense, 2-3 hours session, Jeff usually finds upwards of 80+ changes that can be negotiated to your lease – changes that will protect you and that will save you money. No other broker or brokerage firm offers this level of care and service. Jeff has made a name for himself and the testimonials he’s received from big-name clients prove it. Call them to find out. We professionally fight the good fight. We're experts at getting landlord concessions. We help our clients get the most out of their lease renewals and negotiations while obtaining the lowest lease rates possible. Jeff is a seasoned competitor in the Ironman Triathlon, completing twelve. This requires an extreme amount of training, dedication, and just plain going the distance … along with an unparalleled ability to operate outside of his comfort zone. Jeff approaches your office space negotiation with the same vigor and intensity. Whether in the middle of a 10-mile ocean swim or sitting at the lease negotiating table with a landlord, Jeff will go the distance with an unrelenting determination to win. Does your commercial real estate representative go the distance for you?